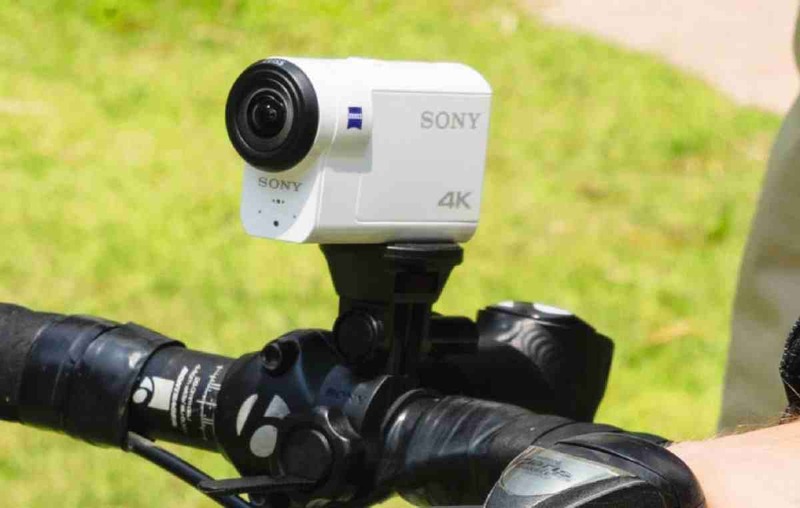 Action cameras are a small, lightweight and durable video camera that can produce high-quality, wide-angle photos video in almost any environment. Built for the rugged terrains and underwater shots, these action cameras are shockproof, waterproof, dustproof, and ready for whatever adventure. And because of the efficiency and convenience that these cameras offer, action cameras are booming in popularity. Action cameras are compact. 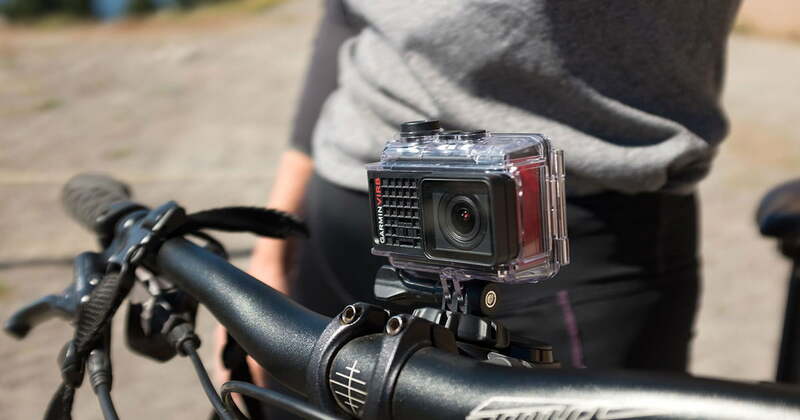 One obvious benefit of action cameras is the fact that they are smaller and lighter than your typical camera, making them easier to carry on your adventures. You can use these cameras without worrying about the space. Action cameras are very versatile and can be mounted on anything. They can be mounted on helmets, telescopic extension poles, vehicles, bicycles and even on surfboards. Imagine the extreme convenience of taking videos hands-free while engaged in various wild adrenaline-filled activities. With action cameras, you have the freedom to enjoy the moment and savor the action. These cameras are called action cameras for a reason. They are generally durable and can withstand the harshest circumstances without affecting the quality of the images or videos. Action cameras are shock-absorbing and most often, they are waterproof too. In some instances when they are not, they come with waterproof housing. With action cameras, it is easy to share your adventures. With the development of technology, action cameras nowadays have built-in WIFI capability which enables you to upload content to the internet with ease. Action cameras also have a fixed wide-angle lens with a focal length field of view of around 140 to 170 degrees. Such wide angle creates a fisheye effect which gives you a wide panoramic image. GoPro is the leading name in action cameras. 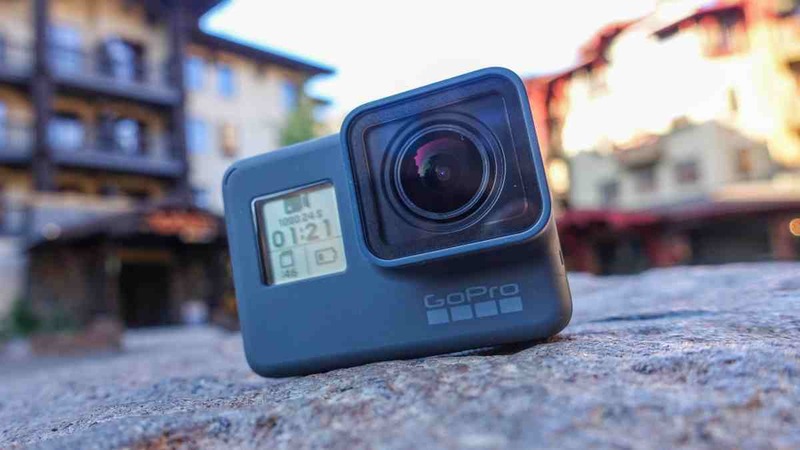 GoPro Hero 5 and GoPro Hero 6 are among the list of top action cameras you can take to your adventure. The GoPro Hero 5 is the first GoPro with built-in waterproofing which means it comes without the usual included clear case. It is waterproof down to 33 feet. This action camera shoots stunning 4K videos, giving crisp, clear, and smooth, with vivid color. 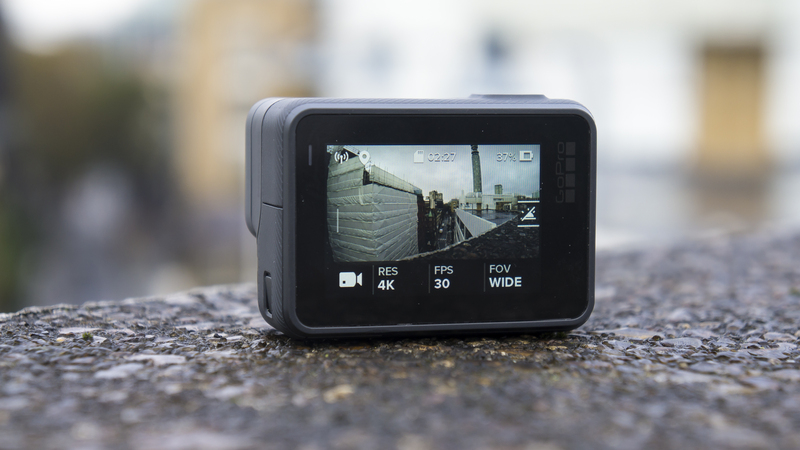 It also features a user-friendly touchscreen interface and can automatically upload photos and videos to the GoPro Plus cloud when it’s charging. It also has new features such as electronic image stabilization for less shaky footage, improved wind reduction capabilities and voice control options. The voice control option, however, has difficulty picking up your voice in noisier surroundings. GoPro Hero 6’s camera body is identical to the Hero 5. The Hero 6 can do image stabilization at 4K/30 and still achieve it at 1080p/120fps. It captures far higher resolution and frame rate combinations than Hero 5. 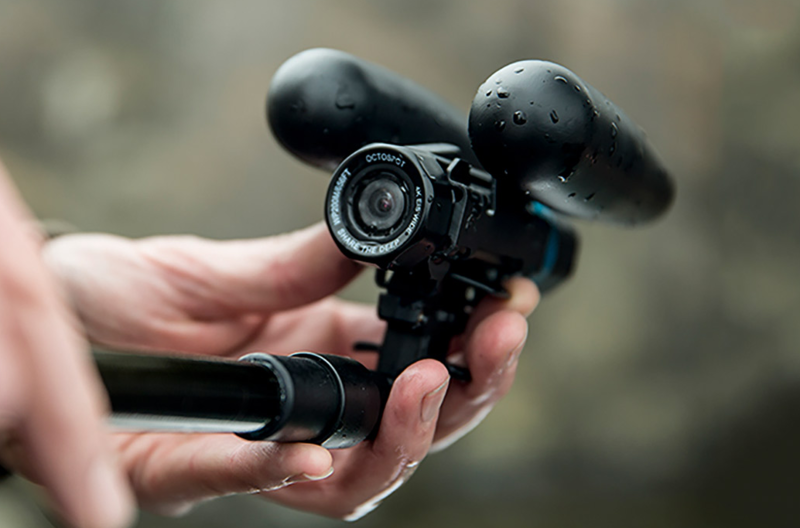 It shoots in RAW format, is voice activated and the entire unit is waterproof. It also features improved display quality and touch-responsiveness. Touch Zoom has been added, which means you can get closer to the action just by moving a slider to frame your shot. The GoPro Hero 6 Black is an excellent successor to the already great Hero 5. If you’re looking for the best action camera available, get the GoPro Hero 6. Sony’s FDR-X3000R Action Cam is one of the priciest action cameras on the market but it is also one of the top action cameras. Both video and still image quality from the FDR-X3000R are excellent. You get all of the resolution and frame rate options you would expect from a high-end action camera. It also features optical image stabilization and it comes with a separate live-view remote control that can be worn on your wrist. Another top-notch action camera is the Yi 4K Action Camera. 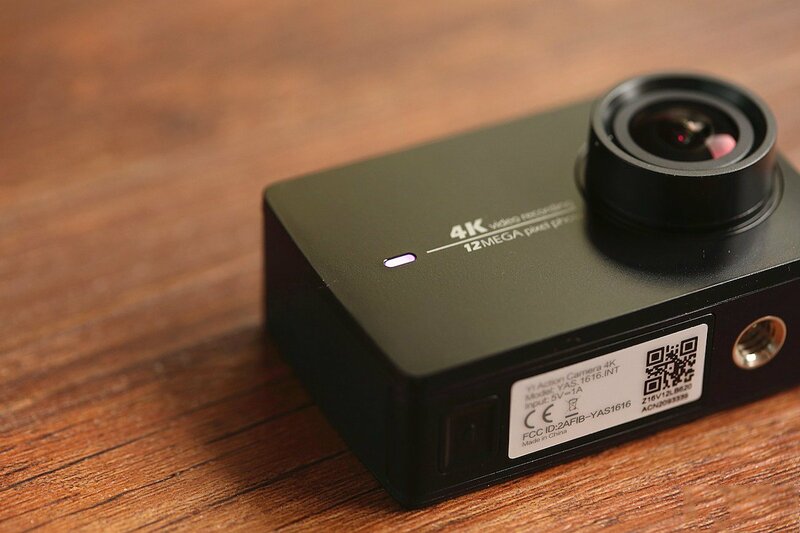 The Yi 4K Action Camera is a well-built camera which provides good-quality videos. It features a 2.19-inch Gorilla Glass touchscreen display used for framing shots and navigating the menus. Its Wi-Fi pairing to its smartphone app is also one of the most reliable in the market. This flagship action camera from Garmin comes with a waterproof case that will keep the action camera dry to a depth of 40 meters. It also has a GPS sensor inside to capture telemetry data. Another highlight of Garmin VIRB Ultra 30 is that it supports external sensors such as heart rate monitors and bike sensors through ANT+ and Bluetooth. These action camera will definitely allow you to take pictures or record videos wherever you may go. An African safari is definitely a grand adventure. It isn’t just about glimpsing wildlife. It is experiencing wildlife. Africa has a very wide range of landscapes, vegetation, and climates so what to wear varies. 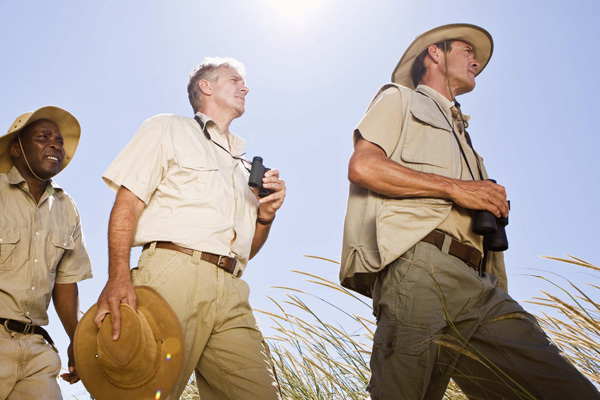 Dressing right isn’t only for looks, there are practical reasons people carefully choose what to wear on safari. The clothes to wear on your safari holiday will depend on where in Africa you’re headed, at the time of year and what type of safari you are going to. You do not have to wear any special safari clothes. Wear comfortable clothes that will not stain dirt, offer sun protection, and are comfortable from the heat or cold. Remember to wear a safari outfit and clothes suited for the environment. You are better off wearing long sleeves and long pants that are lightweight and breathable during game drives and safari walk. It’s important to protect your skin from the elements. Staying covered up not only protects you from the sun, it also keeps the bugs away. You have a better chance of not being bitten by mosquitoes if you are covered from head to toe. Wear beige, khaki, green, and brown colored clothes. They are the staple colors of safari wear because they blend into the environment and they do not attract unnecessary attention. The more you blend in with your surroundings the better chances you have of not disturbing the wildlife. Blending with the environment provides a better game viewing experience. A light jacket or fleece is great for an extra layer of warmth in case you need it. The climate and weather in Africa range from one extreme to another, from the extremely cold freezing nights to very hot and dusty afternoons. Layers allow you to remove clothing to make yourself comfortable as temperatures fluctuate. Layers are a great way to pack light but stay warm. Your layering should include at least on warm layer especially if you plan to go on early morning game drives. Lightweight hiking shoes are a great option for safaris. Even when staying in the most luxurious lodges, you’ll be in the middle of nature. 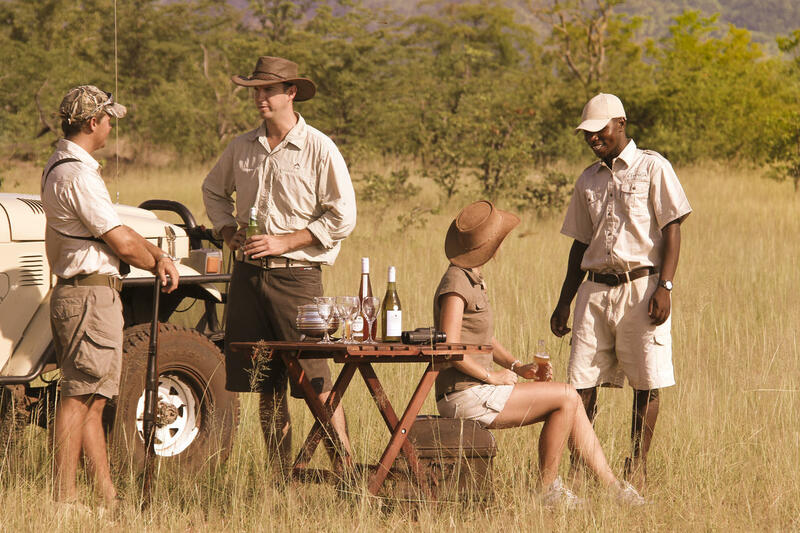 Hats are a fantastic way to protect your head and face from the sun in an open-top safari vehicle and they have the added benefit of reducing glare for better game viewing. It often gets hot, dusty and windy and a hat will protect you from the heat and your hair from the dust. It can also be used to keep your hair away from your face. Sunglasses should be worn to block out harmful rays. The African sun can sometimes make that difficult with its very harsh glare, so keep your eyes safe and carry your sunglasses. Bring a light rain jacket depending on the season. 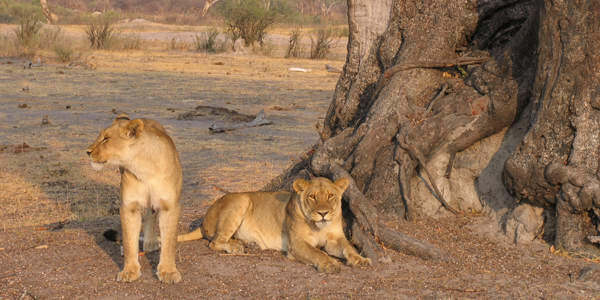 Most Safari companies and lodges come prepared in this aspect and will provide their guests. Bring multi-pocket vests. Or any clothing with pockets to carry sunblock, lip balm, flashlight, camera, or binoculars. It’s better than having to juggle around a bag. Don’t forget to bring a swimsuit if your lodge has a pool. A swim would be the perfect way to wind down and relax after a long hot day of game viewing. Don’t bring bright-colored clothing or busy patterns. This will make you stand out and scare off animals. Avoid camouflage clothing as some African countries reserve this pattern for military personnel only. Avoid Dark blue and black. These colors can attract tsetse flies which have a nasty bite. Don’t wear white and very pale colors. White clothing will quickly show dirt and dust. Shorts and shirts are quite comfortable on a safari especially during the day, but sometimes during the game drives and short walks in the bushes you might wish you had covered up a little more. Formal wear is not necessary as most lodges and camps have a relaxed dress code. For the majority of people in the world, a Zimbabwe Safari is the ultimate dream and bucket list vacation. However, it is important that you do a little homework first so you will be well prepared for any circumstance that may arise. Africa is a lot different than other parts of the world, and this means that with all of the open spaces, beautiful wildlife and gorgeous scenery, finding a store will be difficult to say the least. Even though you will not have access to a store full of inventory on every corner, this is one of the most refreshing aspects of going on a Safari in the wilderness. This also means that you will need to make sure you have everything you need. If not, you may have to do without it. You are probably aware of the essentials that you will need to have with you while you are on Safari, but have you ever given any thought to the gadgets that may come in handy while you are enjoying the wildlife? It is important to note that everyone has different expectations and needs, and the gadgets you take with you will be dependent on your individual Safari experience. It will also depend on how much you enjoy tech gadgets as well as the amount of space you can reserve for them after packing your essentials. With that being said, you may want to do a trial run of what you are going to pack a few weeks before leaving. This will let you know how many items you are going to be able to squeeze into your bag. Most experienced travelers recommend packing belongings into a squishy lightweight bag. Try to use one without wheels because wheels will add to the total weight. 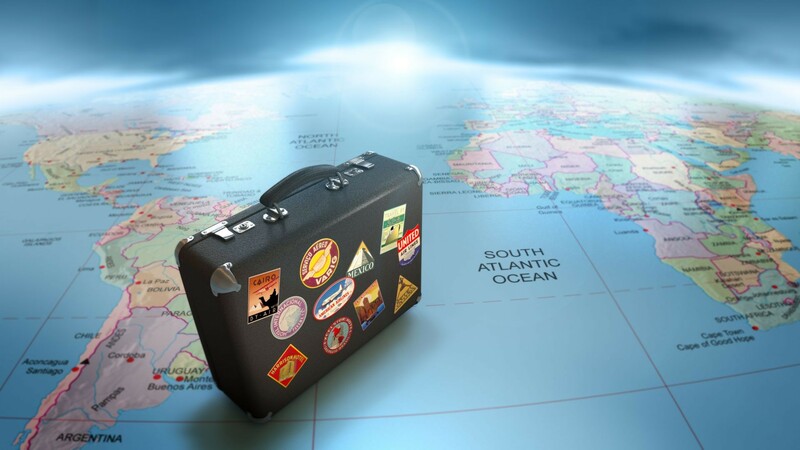 You can confirm weight restrictions for every country you plan to travel to with your travel agent. 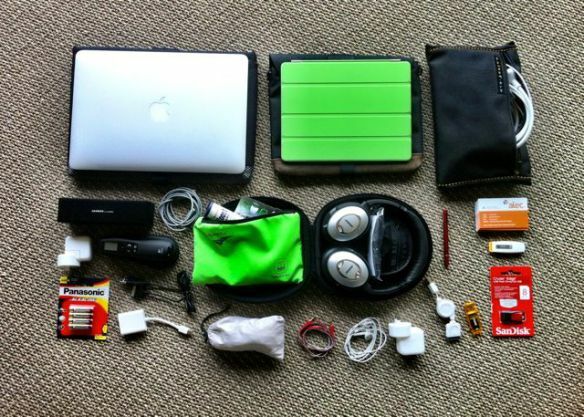 The following 3 gadgets can be included in your Safari equipment starter kit. Without a doubt, you want to take the best pictures during your Safari so you can always remember the experience. The camera that you use will depend on your personal preference as well as your budget. Your expertise with a particular camera will also play a role. You should seek out some expert advice if you are unsure of the camera that will capture the best moments of your Zimbabwe Safari vacation. It does not matter as much as the type of camera you choose, what is more important is that you do not miss a shot that is once-in-a-lifetime simply because your battery died or your camera ran out of memory. Be sure you have a supply of memory cards and an extra battery for your camera. When the sun sets and the nighttime arrives, it can become very dark on the African landscape very quickly. For those who are used to the brights lights of the city, the darkness can be a little unnerving. To reduce anxiety, be sure to pack an electronic torch. A strong headlight or torch can come in handy if you are trying to find your way through your campsite at night. It will also be necessary for hiking through the trails in Zimbabwe. This may be one of the most invaluable gadgets you can take with you on your Safari. However, you may want to keep it on silent while you are on game drives. It can be used to take pictures, but you can also use it to download apps that may come in handy. For example, if you enjoy Astronomy, you may want to download a sky gazing app. The Africa Live app provides real time maps so you will know where you are at all times. These are 3 of the gadgets that you may find to be the most beneficial while you are on your Safari vacation. Friends and family back home will be fascinated to have a visual sense of your adventure, and you will have memories that will last a lifetime. 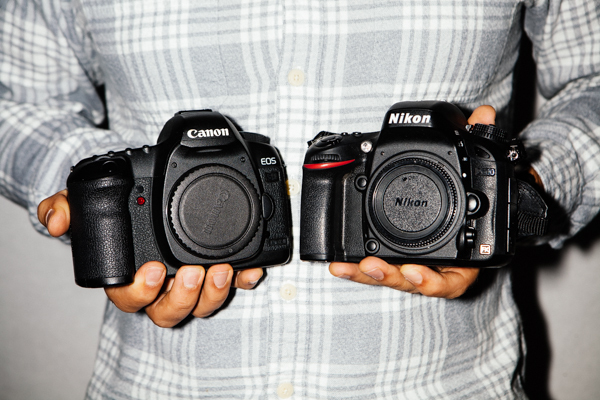 The Nikon and Canon cameras are typically similar in quality when making comparisons on similar formats and price points. However, there are differences when it comes to advanced photographers in regards to lens compatibility and settings. For the majority of buyers trying to make a choice on a better brand, it becomes important to consider what type of camera you feel most comfortable operating and holding, and what specific camera matches up to your requirements in resolution, shutter lag, AA-battery powered vs. rechargeable, video recording along with other types of criteria for daily use. According to a study conducted by PC World, the Canon cameras are regarded as highly durable, with very few issues that occur. The Nikon’s are suggested as less durable along with an average rating in reliability compared to other types of digital-camera brands. The older brands of the Canon cameras don’t feature flash performances that are consistent, with an exposure that will vary from one frame to the next. However, the latest Canon 5D Mark III offers flash exposure that is perfect. The flash-sync options are more complex to set when compared to the Nikons as well as the manual-flash mode. All the Nikons offer perfect flash-exposure along with a lot more flash-sync options which are far easier to set. The Canon lenses and cameras produced since 1987 which were known as the EOS are now incompatible with the types produced before the year 1987. But they are all-compatible when it comes to other lens and cameras produced after 1987. The Canon APS-C bodies are able to use standard EF mount along with the EF-S mount lenses. The Canon cameras are able to use the Nikon lenses, as long as they use an adapter. Most of the Nikon SLR lenses and cameras are compatible with other each other, especially the types from the window of 10 to 20 years. The Nikon cameras are unable to use the Canon lenses. The Canon cameras display information clearly on photographs, but they don’t display millimeter settings in association to the lens. Canon is unable to show color YGRB histogram when zoomed in on smaller areas in association to an image. Nikon on the other hand provides all data on photographs, but on a number of different screens. It also allows a user the ability to zoom into smaller areas and still view this section’s color YRGB histogram. While the Nikon and Canon cameras provide a way for the users to choose shutter speeds in order to increase ISO based on the lens-focal length, the Nikon only allows for the user to do this in fixed amounts. The Canon cameras use 6 or 8 bladed diaphragms up till 2012. This created inferior sunstars along with more out-of-focus “highlight blobs.” The Nikons use 7 or 9 bladed-lens diaphragms that create less-disruptive shapes and superior sunstars. These 2 brands define tones and colors in a different way as well as the use of different Auto White Balance. What this means is that pictures from each camera will always appear slightly different when comparing them. In the year 2011, canon raked in revenue of 3.557 trillion yen, and an operating income that equated to 378.071 billion. Nikon features revenue of 887.5 billion yen along with operating income equating to 54.1 billion. If you’re planning on going on a Kruger National Park Safari, you’re going to want to bring the right kinds of things with you. What you pack will have a real impact on your trip. You may want to purchase some gadgets to take along with you. If you take advantage of the latest and greatest technology, you’ll be able to have even more fun on your safari. If you’re taking lots of photos of your safari or capturing a lot of video footage, your phone could wind up draining its battery very quickly. If you don’t want your phone to go dead, you’re going to have to find a way to keep it charged while you’re out exploring! That’s where a battery pack can really come in handy. If you carry a battery pack with you, you’ll be able to replace your draining phone battery with a battery that is fully charged at any time. You won’t have to worry about your phone running out of power; you’ll have an extra power source with you. There are many battery packs available to purchase. No matter what kind of phone you use, you should be able to find a pack that is compatible with your device. You should be able to find battery packs that you can use with other devices as well. If you’re packing for your safari, you may be tempted to fit in as much as you can. After all, the more you pack, the more items you’ll have to enjoy as you explore Kruger National Park. However, it’s better to pack lightly if you can. If your bag is too heavy to carry around, you could run into some real problems. That’s why it’s a smart idea to weigh your luggage before you go out. If you carry a digital luggage scale with you, you’ll be able to weigh your bags at any time. If you weigh your bags, and you see that they’re a bit too heavy, you’ll be able to take a few items out. Having a digital scale with you will allow you to pack more efficiently. You won’t have to worry about whether or not you’re carrying too much. The right scale will allow you to see the exact weight of your bag. You’ll be able to make adjustments from there. While you can certainly take some amazing shots with the camera inside of your phone, you’ll be able to get even better shots with a professional-quality camera. If you have a tripod that you can pair with your camera, you’ll be able to take some spectacular pictures. Kruger National Park is very scenic, and it’s a great place for an aspiring photographer to be. Of course, you’re probably not going to want to carry a full-sized tripod with you when you’re out on a safari! That’s where portable tripods come in. There are miniature tripods that barely take up any bag space at all. If you pull one of these tripods out, you’ll still get to enjoy the same perks that a normal tripod offers. A compass has been an essential travel gadget for centuries, and it’s still a valuable thing to have today. If you manage to get separated from the rest of your group, having a compass could actually save your life. There are many different kinds of compasses on the market today. Some of these compasses are loaded with features, while others are fairly simple in nature. No matter what kind of compass you wind up choosing, you should make sure that you have a compass packed into your travel bag. It’s clear that there are a lot of great items to take when you’re going on a safari. Look into purchasing some of these four gadgets. If you take tech like this on your safari, you’ll be able to get even more out of your experience. A Kruger National Park safari is always going to be incredible, but it will be even more amazing if you have the right gear. Figuring out what you should pack and what you should be leaving behind is one of the conundrums of traveling. This is particularly true when you are considering what to pack tech wise. Considering we rely on tech gadgets on a daily basis more than ever before, not having the right gadget can be very costly. 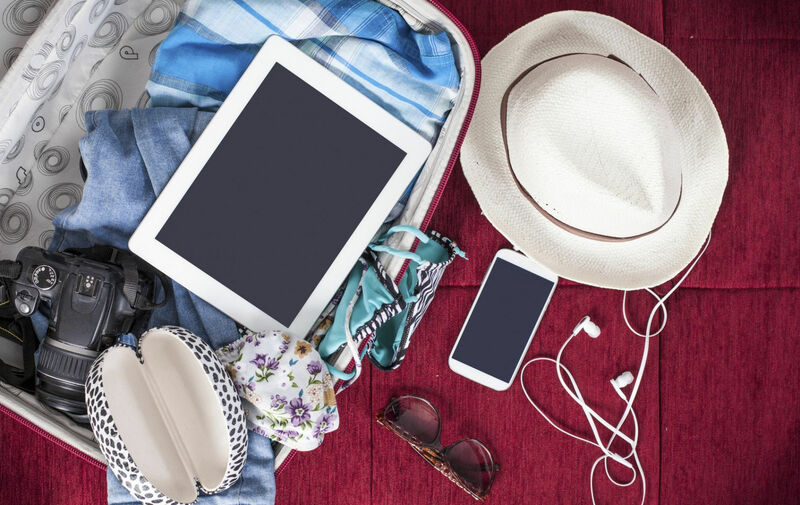 Here are some of the 4 best travel gadgets that you will want to consider packing in your luggage allowance the next time you go on your travels. This is the easiest inclusion of tech gadgets. It is essential to pack an adequate smartphone in today’s digital world. This is perhaps the single most useful gadget a traveler can purchase because it can essentially replace just about everything from a camera to a flashlight. Along with this, you will be able to have direct access to a lot of different mobile applications as you travel which can not only help you get around but also save you money in the process. When it comes to finding the right smartphone, you will want to weigh performance, features, and overall price. The good news is, there are now adequate smartphones available for just about every budget. Therefore, if you are looking for a smartphone that fits within your budget that can effectively replace your point and shoot camera while you travel, you should be able to find one good enough to do just that. If you are going to be traveling a lot and you think that you might want to consume a variety of media on your trip, you might want to consider investing in a tablet. A tablet can be a very useful gadget to utilize while you are traveling because it can effectively replace your laptop in a lot of instances. Not only can you combine it with an adequate and much more portable keyboard, but it can be used to consume media in a much more portable and convenient way than a traditional laptop. There are a variety of tablets available ranging in operating systems including Android, Windows, and iOS. Also, if you are someone that simply enjoys reading a good book, you can effectively pack a library full of books without having to lug them around with an eReader. For some, a tablet may not be a viable option given the lack of ability to use it while you are sitting down without anything to prop it up with. Because tablets do have this limitation, you might be forced to bring with you a traditional laptop. The good news is, there are now 2 in 1’s available on the market that combines the viability of a laptop with the portability and mobility of a tablet. Another option would be to purchase one of the lightweight laptops hitting the market which will provide you with all of the positives regarding usability with a laptop but without sacrificing any sort of power to do so. Nowadays, keeping your devices and gadgets juiced is getting harder than ever before given the amount we use them and the tasks they are capable of handling. Because of this, it is critical to keep an adequate and compatible battery pack handy to charge them when needed. Overall, there are a lot of gadgets you should at least consider when you are trying to pick the best out for your travels. What Are Must Have Items for Your Latest Adventure Plans? If you enjoy doing stuff and being adventurous, then you certainly should be prepared for the things that might arise while you are having a good time. Of course, proper preparation will go a long way toward helping you to be safe while you are going about your daily adventures. When it comes to adventure, some folks tend to think of mountain climbing in exotic locations, but the reality is that you don’t have to go to another continent in order to have a great adventure. Depending on your budget and your interests, there are likely fun and exciting venues and natural activities that you can choose from that are much closer. No matter what type of adventure you have planned, you need to be sure that you have all of the items you need, one of which is probably water. Hydration is essential to your health, and insufficient water consumption can create a host of problems for those who are out on some type of adventure. Without enough water, your body can overheat and leave your body more susceptible to a range of health problems. In fact, there are countless people every year who end up with heat stroke because they weren’t drinking enough liquids when the weather was hot. This condition can be fatal if not properly treated. This is the worst effect of dehydration, but there are lesser troubles that you can have as a result, including poor thinking and logic functions. The exact amount of water that you need, as well as the other supplies that you should take on your adventure, depend on what you plan to do. For instance, an adventurous day stroll through a local park will require different food preparations than if you are intending to spend a couple of weeks camping far away from society. While not as important as water, food is still an important consideration for your health. After all, you need nutrients in order to fuel your body. Even if you are carrying around a few extra pounds, you don’t want to shed that weight because you accidentally were starving yourself in the middle of the forest. Protection for yourself and others in your party is another thing that you should have. This might include clothing, gear and shelter depending on the circumstances of your adventure. This should all be weather appropriate and that will allow you to stay warm and cool as needed for the comfort of your body. No matter what it is that you are trying to do, you need to make sure that you have a list and that you use it for whatever you need to take with you while you are going as well as when you come back home. This type of preparation will help you to always have an incredible time no matter where you are going and what is happening in your life. Enjoy the freedom of your brand new adventure! Wraps Wear is a UK clothe wear company, we design and launch our clothe line from formal to casual we have it all. We at Wraps wear believe that what you wear is what you portray to be. Read more.